We hope you all got your login details, (e-mail from Friday Sep 26 should be sitting in your inbox) and have been able to access you accounts. 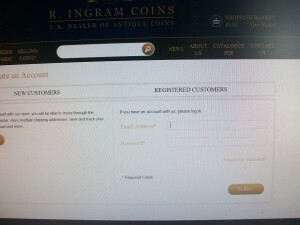 This is all designed to help you use our site. The nicer experience for you, the better for us; so we all win. Type in the e-mail address as well as the password in the welcome e-mail (sent on Friday 26th Sept). If this is not your main e-mail address, please don't worry, you will have a chance to change this in a moment. Click submit. Here you have a chance to change your name, address, e-mail and password (this is entirely secure, the original one is randomly generated, we have no access to it). You can also keep track of a wish list of items you may be interested in at a later date as well as seeing the last few items you have viewed. 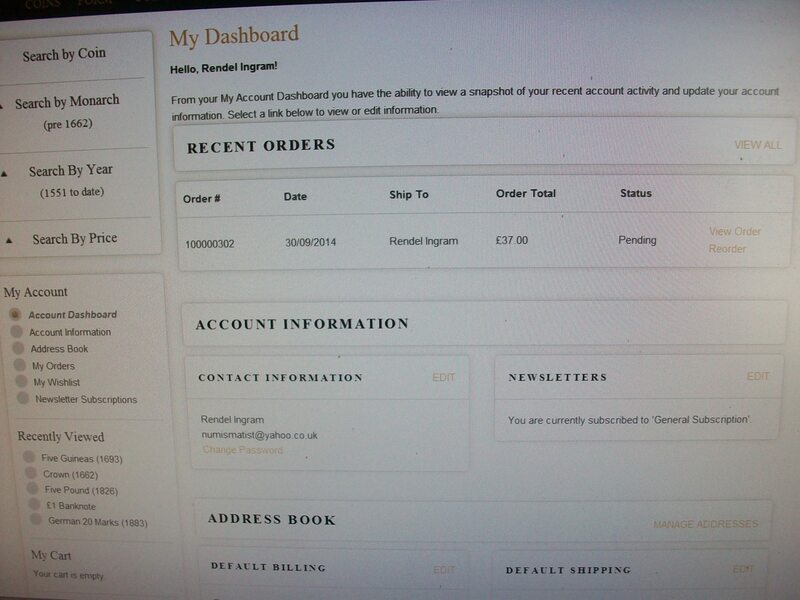 You can also see any orders you have made via the site. 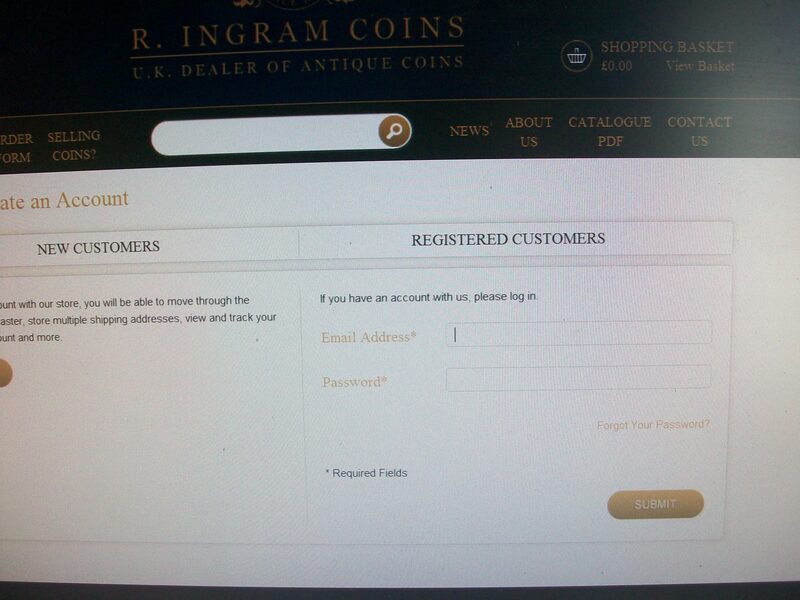 To browse our site is simple and can be done by clicking on view coins and then going to the relevant category you are interested in or by use of the search bar. 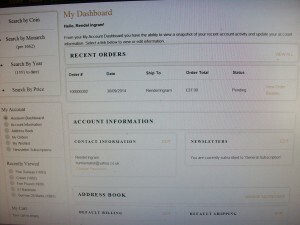 The shopping cart process is easier as an account holder, as all your details are saved and so no need to type them all out again every time you order. Many thanks for all the feedback we have had so far, its been overwhelmingly positive. If you do have any problems or suggestions whatsoever please don't hesitate to contact us; ([email protected]) or ring us (023 80324258).